A intriguing clash is set for the semi-finals of the Erste Bank Open in Vienna tomorrow afternoon as Robin Haase (Player Bio) and French no. 1 Jo-Wilfried Tsonga (Player Bio) to battle for a spot in the finals. It is a tense situation as the Frenchman is vying for a spot in the Barclays ATP World Tour Finals. Check out the Tsonga v Haase Head to Head. World No. 63 Robin Haase rallied to defeat third-seeded Fabio Fognini 6-7 (4), 6-1, 6-1 to reach his fourth semi-final of the season. The Dutchman, who won both his career titles in Austria, didn’t face a single break point in his dominant performance against the Italian. Fognini had 32 baseline errors which aided Haase’s cause and smoothed his entry into the semi-final. His next contest will be a far more difficult task as Tsonga is motivated to secure the title and a qualifying spot in the year-end championships. 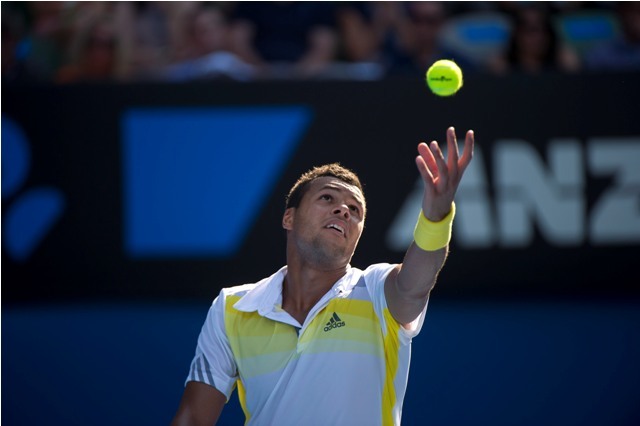 Tsonga is looking to reclaim the Vienna title, which he won in 2011 in his debut performance at the event. He is coming off a semi-final exit last week at the Shanghai Rolex Masters, where he lost to eventual champion Novak Djokovic but has since recovered and returned to his winning ways as he defeated Germany’s Daniel Brands in three sets to reach the quarter-finals. The Frenchman faced yet another tough match as he took Dominic Thiem to three sets, needing a deciding tiebreak to secure his win. It was a tense match but Tsonga managed to maintain his composure against Thiem and patiently awaited his opportunities to win the big points. This is the second time that Tsonga and Haase clash on the ATP tour. Their first encounter also occurred in 2013, at the Madrid Masters, was a tight affair, where the Frenchman needed two tiebreakers to secure the straight set victory over Haase. This will likely be a similar match considering their complementing styles and will probably be the most entertaining match on court tomorrow.